We’re seeing glimpses of sun every now and then, which means it’s time to switch up your skincare routine for a new season. No-one can get away with using heavy creams and all out exfoliator’s during the Spring months as they are just far too harsh and heavy. 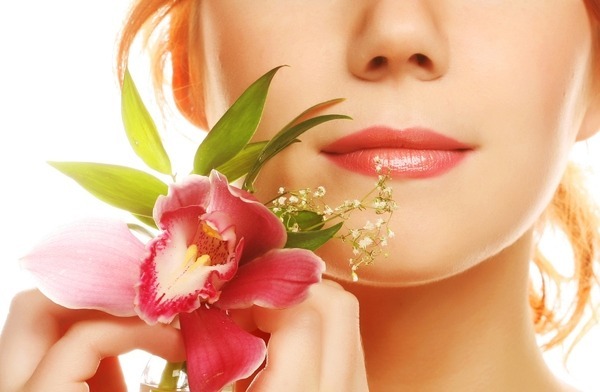 Spring is all about being light and airy and your skincare should reflect this. Use cleansers that are cream based rather than oil or gel based (Unless you’ve tried and tested them and they do not leave your skin feeling oily. I urge you not to get mixed up between an oily face and a glowing face). Cream based products are more likely to sink into the skin rather than sitting on top of the skin helping no skincare problem what so ever. Having it sink in shows that is working within the skin and is not just a quick fix for there and then. 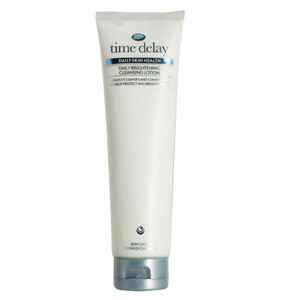 I recommend Boots Time Delay Daily Skin Health Daily Brightening Cleansing Lotion. Instead of heavy duty exfoliator’s that you can only use once or twice a week in fear of ripping all your face off, opt for one that has got very fine beads in so that you can use it every day. Being able to use it every day will help scrub off all the dull skin that the Winter has left behind without being too harsh on the skin. Mix it in with your cleanser to get a double whammy of a treat. You take away dead skin cells whilst being able to cleanse the new skin underneath, rather than pointlessly cleaning dead skin cells. 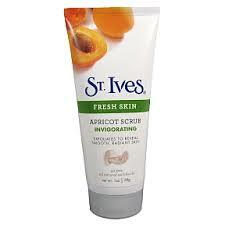 We like St.Ives Apricot Scrub Blemish Fighting. Stick to light moisturisers that contain SPF. Having the SPF already in the moisturiser means one less step for you to remember in the morning when you’re all groggy eyed and questioning who you are. A light moisturiser will sink straight into your skin leaving your face dewy and fully hydrated ready for the makeup stage. It should, ideally, leave your face ready for whatever makeup you choose to apply without making it slide straight off. 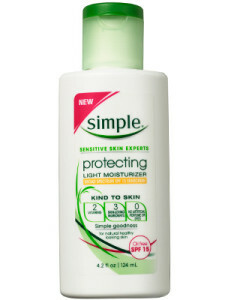 I recommend the Simple Kind To Skin Protecting Light Moisturiser SPF 15. Try substituting your normal water based toner for a spray toner instead . A spray toner means you save time, which is the perfect excuse not to miss the very valuable rays of sun that we get. Using a spray means that you are less vigorous with your skin, you don’t go overboard trying to work it in to the deepest depths. Not only does it work in exactly the same way as a toner but it will awaken your skin a lot more and leave you feeling fresh and ready to go. Spray toners are perfect to take on holiday too to just give you a little spritz to a, cool your face down and b, re-fresh your look to give that ‘I naturally look like this’ feel. 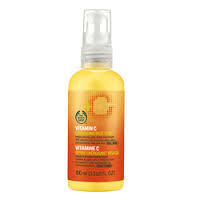 I recommend The Body Shop Vitamin C Energizing Face Spritz. Updating your skincare each season is important as each season brings new life and/or traumas to the skin, so keeping your routine fresh and up to date will serve you better in the long run. Your skin changes as you age so it is important to show it some love and get the products that is most suited to your skin type. You’ll still look 25 at the age of 50. Who wouldn’t want that?